At first, I have to say: Valencia is a very nice city with impressive tourist attractions, with old but also modern buildings. My wife and I spent a week here, enjoyed the culture, the people, the food and of course the beach. In addition, we enjoyed running in the wonderful park of the Turia. The school and the classes were very nice and interesting and of course the teachers too. It was a very pleasant week so I think I’ll be back in Valencia again. School Taronja was the best thing that happened to me this summer. 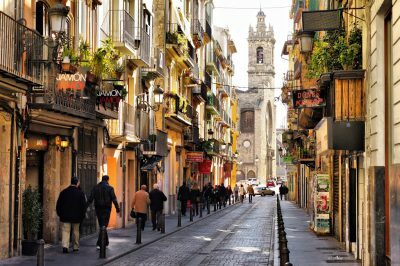 Valencia is a beautiful city with delicious food, beautiful streets and wonderful beaches. At school, all the lessons were very interesting. You really learn to speak Spanish. Valencia is a beautiful city and the school is located in a very central part, in a beautiful building. the activities are varied and give the opportunity to socialize, practice Spanish, explore the city and its customs and have lots of fun. 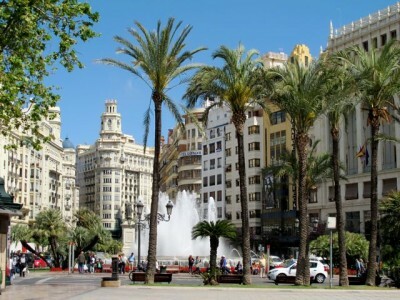 Our experience in Valencia was very helpful, the people are very friendly. The Taronja school is quite original, the courses are a lot of fun, our vocabulary improved. 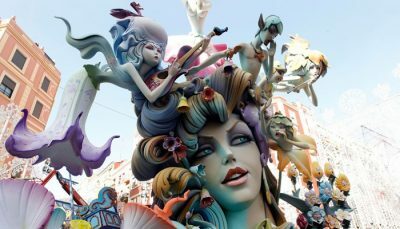 We liked the Fallas a lot, the atmosphere and the traditions are very nice. Thank you for this experience in Valencia. The week here at the school was very interesting and fun. The school has a good method of teaching new things. The atmosphere in the school is cozy, the teachers are very friendly and kind. Valencia is a very pretty and active city. The experience in the school was very nice. We liked Valencia a lot and learned a lot of things. The teachers were very friendly. The teaching method is different from our island, but very good. It was a good experience to study in this school. Thank you for everything! The school and the teachers are really good. The teaching is different from Reunion Island, but also very interesting. The teachers explain well and are very kind. The city is very big and beautiful. It was a wonderful and interesting experience and we liked it a lot. The teaching method was good and allowed us to improve our knowledge of the Spanish language. While playing games, we learned a lot of things and it was a lot of fun to have these special classes in Valencia. The teachers were very kind, caring, friendly and charming. The experience in this school was very exciting and a lot of fun. It was useful because we learned a lot of new things and improved our Spanish (thanks to our teachers, that were happy to help). In our opinion, Valencia is a beautiful city and we hope to come back soon. In our opinion, this course was very useful because we learned a lot and improved our pronunciation. We talked a lot, using games and activities that allowed us to have fun. We are very happy to have participated in this course. The teachers were very good and capable of engendering passion. In our opinion, Valencia is a very pretty and interesting city, and we really liked it because we visited a lot of historical sights. We liked the school too, because we learned a lot of new words, improved our pronunciation and talked about us, the things we like and our free time activities. Es bueno que las clases sean interactivos. Disfrutamos de aprender sobre la cultura española. Valencia es muy bonita y la escuela es interesante y fantástica. Creo que los profesores son muy simpáticos y amables. Las clases me ayudaron a aprender más español, disfruté mucho de la semana porque las clases fueron muy interesantes y también divertidas. Los profesores son dinámicos, simpáticos y graciosos. Nos gustaron las actividades, especialmente los que fueron creativas. Lo recomendaríamos a todos. Durante esta experiencia fuimos a excursiones muy divertidas y interesantes. Aprendimos mucho y practicamos conjugar verbos. Nos gustó mucho la Paella de Bienvenida. El viaje era muy organizado y una experiencia fantástica. ¡Nuestra familia estaba de bienvenida y hacía comida muy buena! ¡Nos ha encantado esta semana con Taronja! Todo fue muy divertido y pensamos que nuestro español ha mejorado mucho. ¡Lo recomendaríamos mucho a gente intentando mejorar su español mientras pasarlo superbien! Gracias por todo. Taronja is a really good school and I learnt a lot of things in only 5 days here. The teachers are very dynamic and made me really want to speak Spanish in class. It was my first time in a language school and I liked the experience a lot. The activities were really fun and allowed us to get to know a lot of people from all over the world and enjoy practising our Spanish together. Maybe I will return in a few years! Valencia is a fun city. It has many fun and interesting places. The people are very friendly and nice. There are many activities. Taronja is a school of learning. The classes are instructive and also fun. Teachers make funny classes. They are friendly and work hard. It was a very fun week. Valencia is a very friendly city. People are very friendly. We like the weather a lot: there is always sun. There are many small shops. The food was very delicious. The classes are interesting. We have learned a lot of things. The teachers are very friendly and kind. The building of the school is very beautiful. Our experience at the school was very well! The classes are very interactive and welcoming. We’ve learned a lot of things. The classes were varied, sometimes we went down the street. Valencia is a very beautiful city. 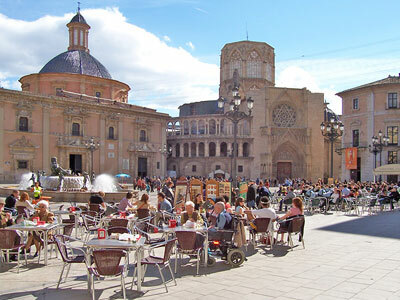 It has everything: the beach, the old city, the modern city, many shops, the park, many terraces and nice squares. In short, a city to return to. We like the classes of Taronja and the teachers. We love the typical food of Spain, for example the paella and patatas bravas. The buildings are very beautiful. 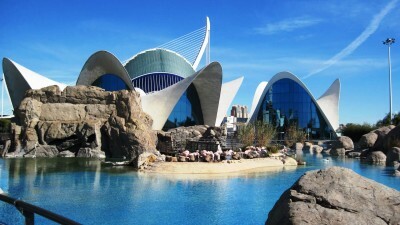 We have learned a lot and will return here in Valencia for the city and of course for Carmina. Bye. Amber, Amy, Emma and Willemijn. We like Carmina. Taronja is a good school. We have studied a lot of Spanish and it was a very cool experience. Ipads are very efficiently. The weather is very good. Paella party was fantastic. Ivar, Misha, Roan and Luke. The school Taronja is fantastic. The teachers are very friendly and kind. The lessons are educational. There is wifi in the school and all the streets. The town is very nice, we liked the beach, the shops and the terraces. Valencia has an interesting history and is a very beautiful city. Anne, Jessy, Marit and Danielle. Valencia is a very nice and very interesting city. There are many attractions and shops. Also the beach is very pretty. The school Taronja is very good. The activities of the school are very fun. Also the teachers are very nice and teach well. In addition, our families were very hospitable. Thanks for everything! The school Taronja is very nice. The classes are very interesting. There are many alternatives. The teachers teach well and are nice, we liked it a lot. 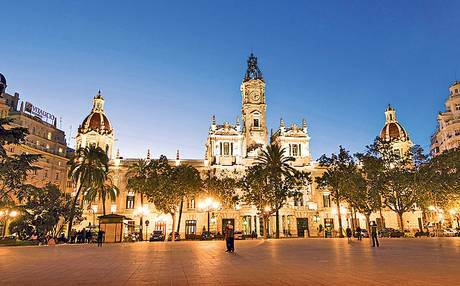 There is plenty to do in Valencia. We loved the beach and the best shops. It is a very nice city with very friendly people. Thanks for everything!